Lawn maintenance is far more than just cutting grass. 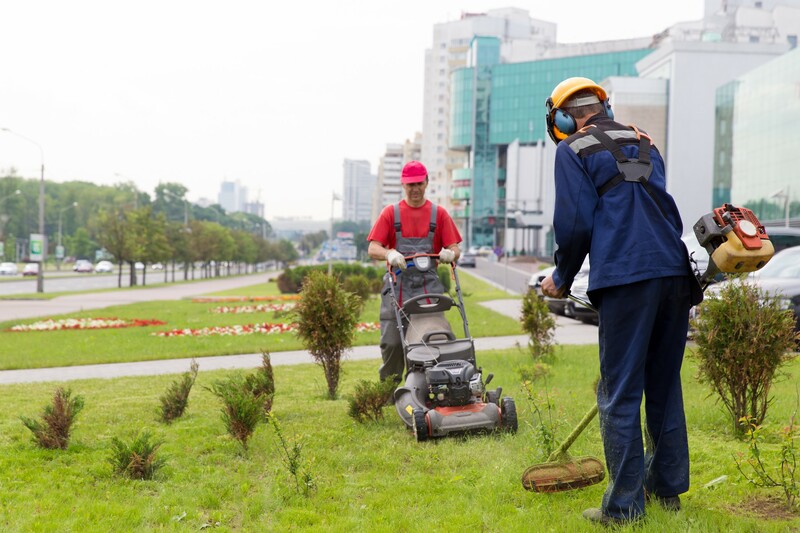 Our ongoing service is fundamental to providing the best appearance and optimal health of your lawn. This program consists of grass cutting, weed-eating of grass not cut by the mowers, edging of walks, curbs, beds. Walks, driveways, patios are cleared of debris. Lawns are cut weekly. Lawns should be cut weekly for the best appearance of the property and the health of the grass plant. If grass is cut less frequently, there may be too much growth for a good lawn. When grass is cut, no more than one third of the plant should be cut or damage to the grass plant can result. Most lawns have bare spots which require seed. Even established lawns can benefit from seeding. September and early October are the ideal time to spread seed, as the weather is becoming cooler and that helps the new grass to grow. Grass planted at that time can grow for the remainder of the fall and the following spring and be stronger to survive the heat of the next summer. An absolute necessity for growing grass is to keep the new seed damp at all times. Frequent sprinkling is the most desirable method to keep the seed damp. If that is not practical, then a good watering in the morning and evening is necessary, while ensuring not to allow the water to wash away the seed. Aeration opens up compact soil by removing plugs of soil and thatch. Aeration goes below the surface of the soil and breakups up thatch buildup. Soil becomes compact from rain, watering, walking on the lawn, and playing on the lawn. When the soil is compacted, the grass does not establish a healthy root system. Water and fertilizer are not able to reach the roots of the grass plant. Aeration builds a stronger root system that allows the grass plant to better tolerate excessive heat and drought. 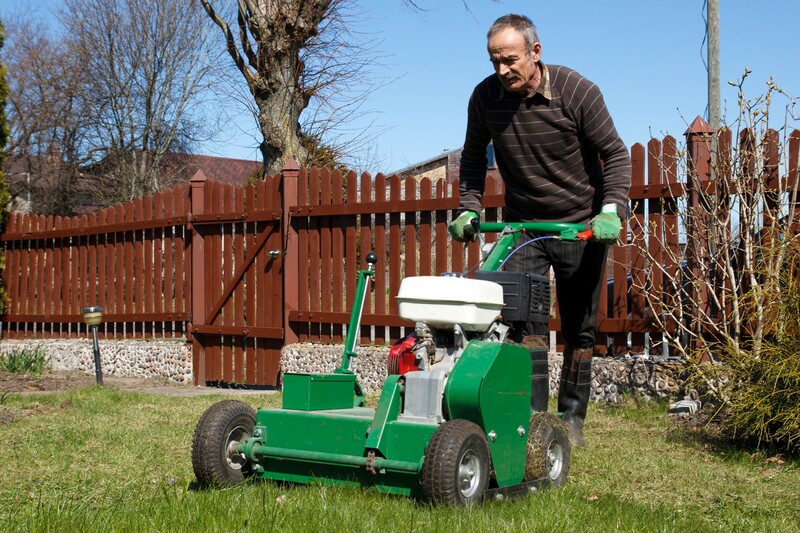 To achieve a beautiful lawn, it should be aerated a minimum of once a year. Twice a year aeration is highly desirable. Aeration is an excellent preparation for over seeding existing grass because the soil is loosened. Sod achieves an instant lawn of beautiful grass. Sod is not practical for an area that is not in almost full sun all day long. If the area is somewhat shady, the sod will not thrive and seeding would be a better alternative. Sod requires an hour of watering daily. If that is not possible, sod is not a good choice. 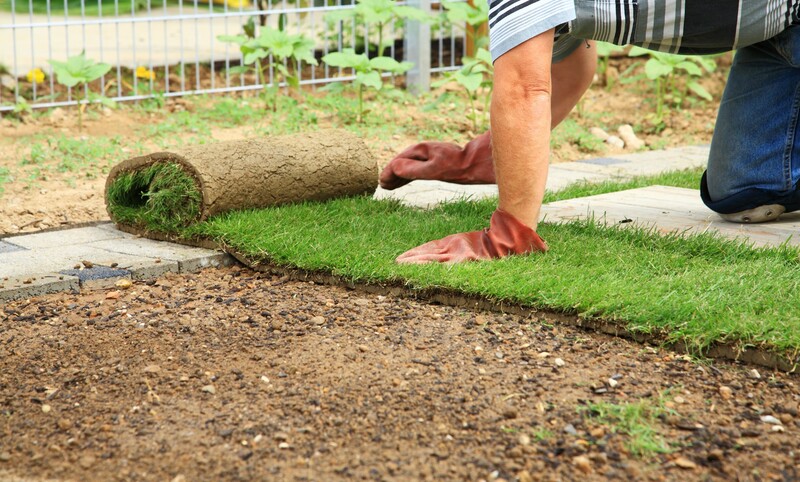 Sod requires a good preparation of the soil for the sod to grow well. The soil must be loosened. Fertilizer and possibly organic matter are mixed into the soil. Ready to boost your curb appeal?